We are pleased to introduce our new vertical unit the ML7. The lift with Danish design and user friendly controls, is a cost effective and space saving solution. The unit raises the user up to a maximum of 900 mm. CAMA Lift manufactures lifts for wheel chair users and other mobility-impaired. We prioritize the safety and comfort for the user, and strive to meet each customer's specific needs. 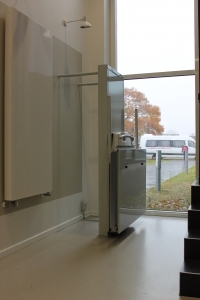 Our range includes wheelchair lifts and in Denmark also chairlifts and vertical platform lifts.